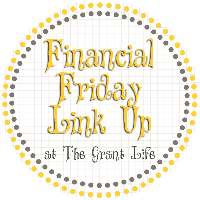 We had such a short week That it was spur of the moment to notice it was time for Financial Friday link up again already today. After a little thought I came up with another story about something I did with the kids. Also I am adding Our upcoming Challenge! but its some of us being dorks and so I added it rather than have no pic. We have already started a family Trip fund for Recycling. All money from cans and bottles goes into a jar for a Family Field Trip. This year we went to Chuckie Cheese with the money. We also added money from returning scrap metal that was left here by the previous owners as it took work to clean it up. We still have more in the yard to return. garbage bins that cost 24.00 a month. If the kids can recycle our trash we can drop it off in town near us for free. The only cost being the gas to drive there. We can take it on a regular trip to town and its free. Starting the first of the year we will be recycling anything we can. If we can eliminate our second trash bin I will put that extra money toward our Family Field Trip Fund. This will allow more money toward our field trip and we can find somewhere better to go this time. We can not eliminate both as we use diapers for the babies. I am not about to use cloth and wash all those diapers for 3 babies. This is a great way to form a habit of recycling and let them earn more money toward our family field trip. BTW we do not go to Chuckie cheese at Flu season EVER. A few years ago we all got so sick for over a month so I don't trust it.